Lovely 2 bedroom house, a short walk to the main Street, with 2 bedrooms,1 with a queen bed, the second bedroom has a double and a single bed, spar bath and separate shower,2 toilets, full laundry ,gas log fire, reverse cycle air/con., plenty of off street parking, lovely garden, also a comfortable sofa bed if needed, a blackwood kitchen with dishwasher. BBQ is also available for your use. Many wineries' are within a short drive, some only a few minutes away. Local Churches are a block away. Across the road from RSL park, just 300 meters to the RSL club House. Play golf at the 27 hole Corowa course. Absolutely clean, perfect house, great location. We were concerned that the house only had one split system air con but with the other rooms having ceiling fans plus the large tree on west side of house, kept the house perfectly cool. We are planning another trip to the region later this year & hope to book again. A great experience. Will definitely return. Nothing was wanting. Comfortable lounge, well equipped kitchen, cosy bed, lovely gardens with lots of dog friendly space, relaxing bbq area. Grkleat R and R venue. Will definitely be recommending the house to our friends. Great guest, Kathsplace was left clean, tidy and as good as we could hope for. It is nice that we can supply accommodation that is just what the guests want. Bala is a great guest to have and is certainly welcome to return anytime. The house was really like a home away from home. Both bedrooms were very comfortable and the kitchen was very well equipped with utensils as well as spices. We really enjoyed our stay at Kath's Place. Great location and the perfect place to stay whilst visiting Rutherglen. 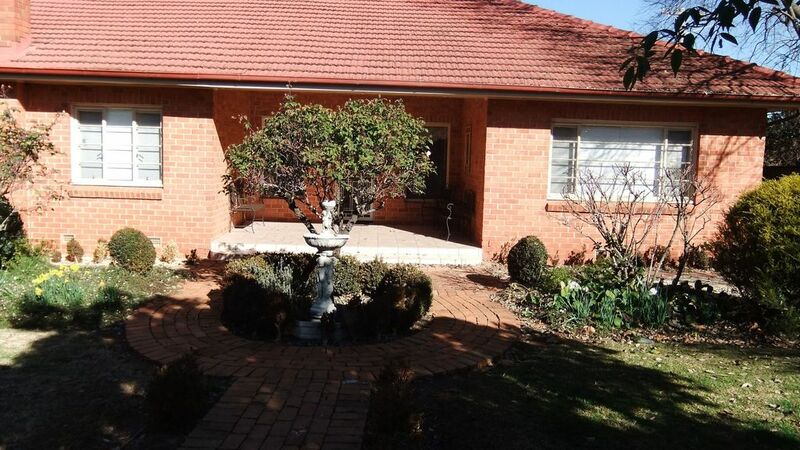 Very comfortable house within walking distance to town. Thank you.